A responsive documentary piece showcasing a diverse set of people all experiencing the highline on one shared day. 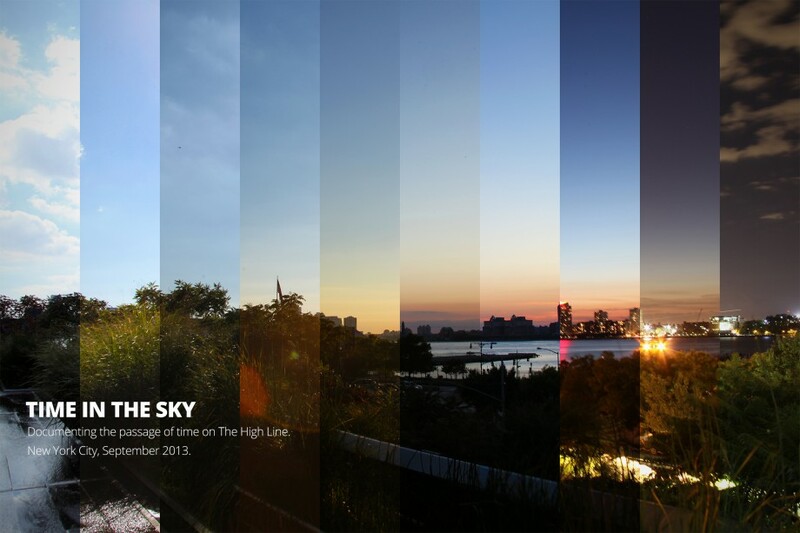 The main frame opens with a split screen – the top half being a timelapse of the sun rising and setting over the bay, and feet walking across the highline on the lower half. Notice the difference in shoes and diverse conversational snippets while the sky transforms. This footage loops until a viewer lingers, and a sensor cues a portrait photograph of some visitor and audio clip taken from a diverse set of highline visitors revealing their favorite time of day. The following is a sneak peek of what resulted from over 9 hours of footage, hundreds of photographs, several lines of code and over 40 personal interviews of people relishing the park in the sky. This was an experimental film experience that was designed in Fall 2013 in New York City at ITP that I designed with my super teammates – Rosalie and Amanda. Made with OpenFrameworks and Arduino. Read more on the development process.